When cruising at 35,000 feet, checking email or sending a tweet takes a bit more engineering than on the ground. 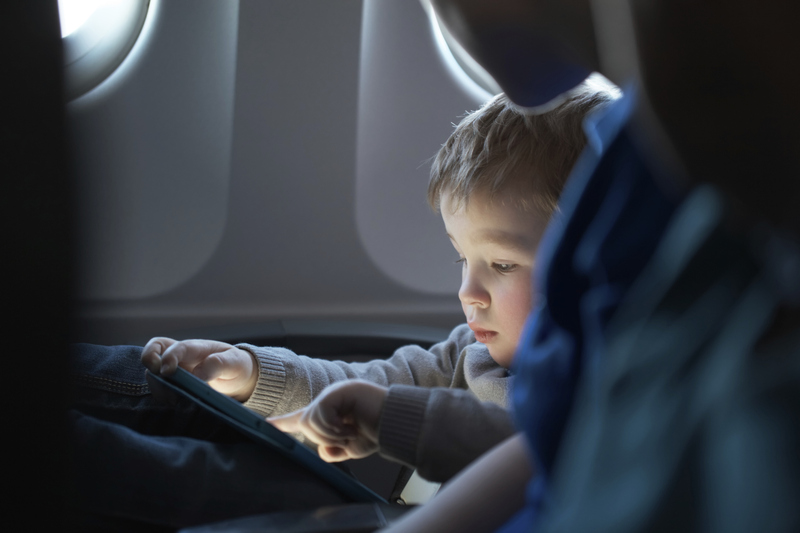 Between a user’s device and the content they want are multiple pieces of onboard technology working inside and outside the aircraft making sure that passengers and crew can stay connected inflight. This equipment works in concert to provide an in-cabin network for passengers and crew, just as if they were on the ground. 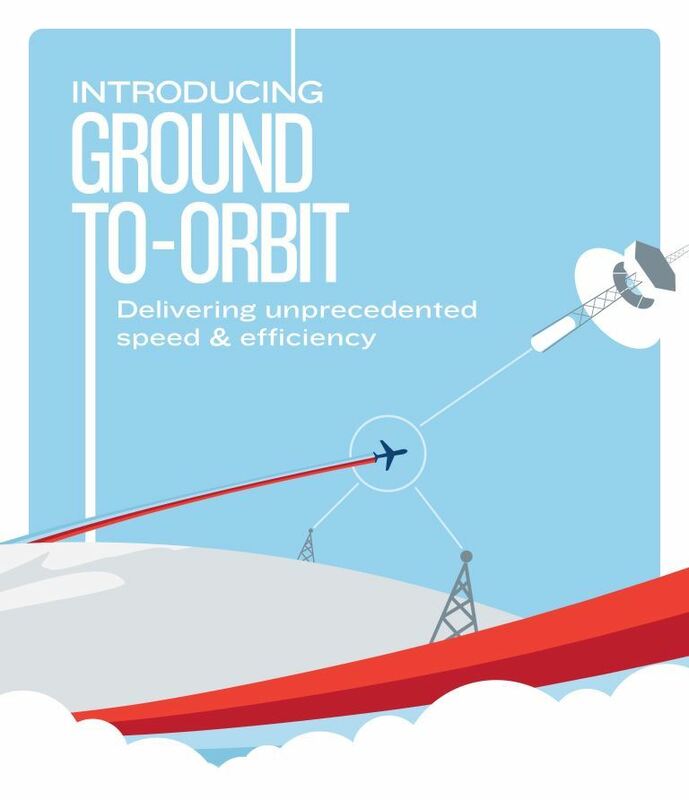 To provide connectivity to an aircraft, Gogo relies on satellites or ground-based cellular towers, and soon, a combination of the two. 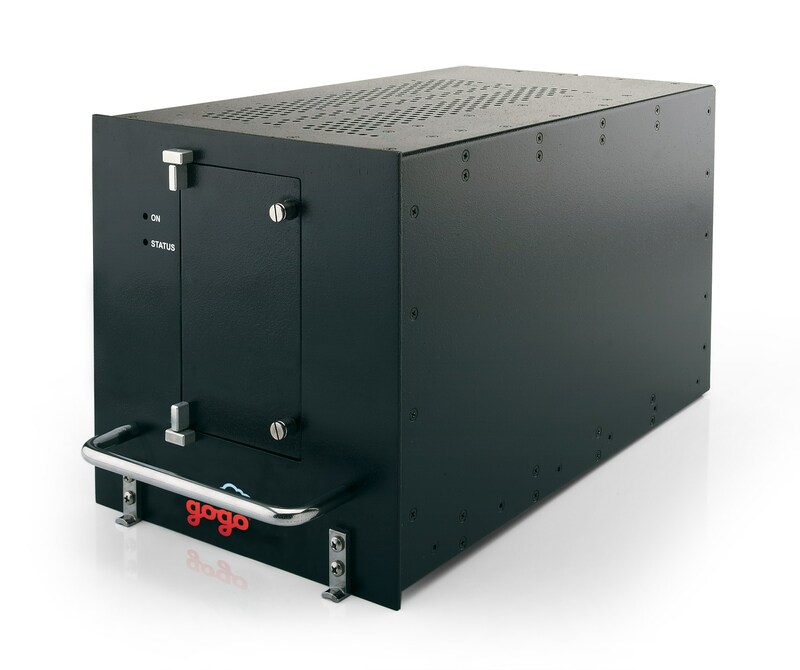 For aircraft equipped with Gogo’s Air-to-Ground (ATG, ATG-4) service, a small cellular antenna is mounted to the bottom of the aircraft to communicate with the large network of ground-based cellular antennas across North America. For satellite connectivity, a satellite antenna is mounted on the top of the aircraft. Satellite antennas come in two forms, traditional gimbaled antennas and newer mechannically-phased-array antennas. Gimbaled antennas rotate on two axes to maintain their orientation toward the target satellite. Mechanically-phased-array antennas rotate a series of internal plates with carefully designed resonance characteristics to focus their beam toward the target satellite. These newer antennas have a lower profile than traditional gimbaled antennas, reducing the amount of drag on the airplane. A traditional gimbaled antenna and a mechanically-phased-array antenna. A radome is installed over satellite antennas, further reducing drag on the airplane and providing the antenna with protection from the elements. A clear radome sits on top of the new 2Ku antenna. Inside the aircraft on satellite-equipped flights are additional pieces of equipment that ensure the satellite antenna is aligned in proper direction and the signals coming from the satellite are converted for use on onboard devices. The Ku/Ka-band Aircraft Networking Data Unit (KANDU) provides power to the satellite antenna and uses the aircraft’s navigational data to control the antenna’s orientation. Throughout the flight the KANDU interacts with the aircraft’s navigational computers to ensure that the antenna is pointed at the proper satellite. 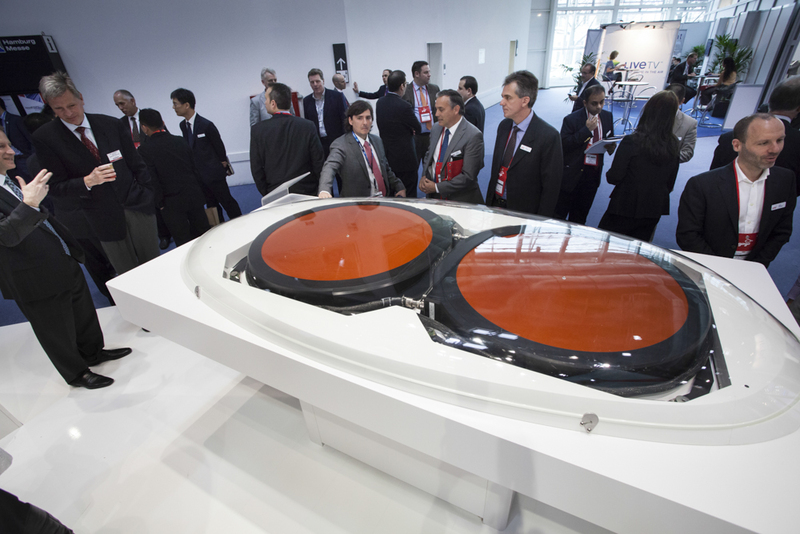 On a long-haul flight, the KANDU may direct the antenna at two or three separate satellites. The Ku/Ka-band Radio Frequency Unit (KRFU) converts L-band to Ku- or Ka-band on its way to the satellite and reverses the process for signals from the satellite. The KRFU also amplifies the signal for transmission to the satellite. In both terrestrial and satellite-based applications, a modem converts computer frequencies to radio frequencies. On satellite-equipped aircraft, the Modem and Manager (MODMAN) modulates and demodulates L-band signals between devices and the KRFU. 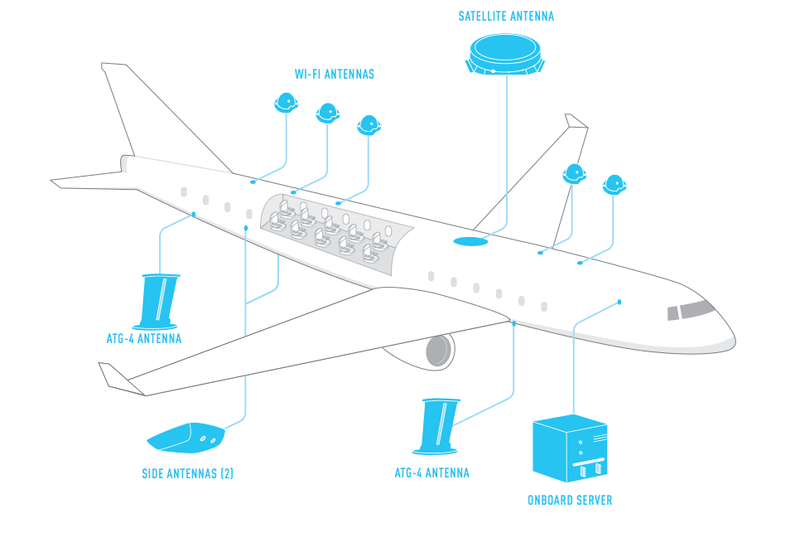 On ATG and ATG-4 equipped flights, the modem operates between signals from onboard devices and the cellular antenna. On every Gogo-equipped aircraft are Wireless Access Points (WAPs) and Wi-Fi antennas that provide Wi-Fi signal to devices inside the cabin. These are spaced throughout the cabin to provide even coverage. Also onboard is a server that hosts airborne applications, like video files for inflight streaming. The latest version of the onboard server houses a 4G wireless terrestrial modem and a storage capacity of 2.56 terabytes. 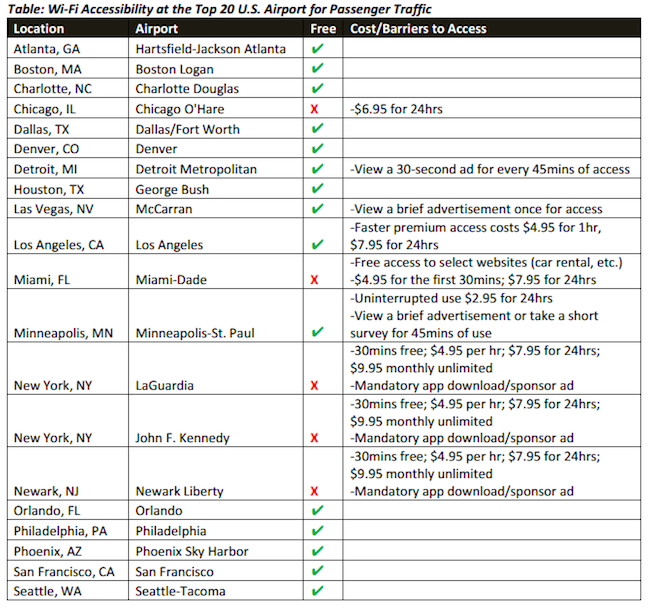 And the final pieces of equipment onboard each Gogo-equipped flight—and the reason for all the other equipment—are the devices in the hands of the passengers and crew. 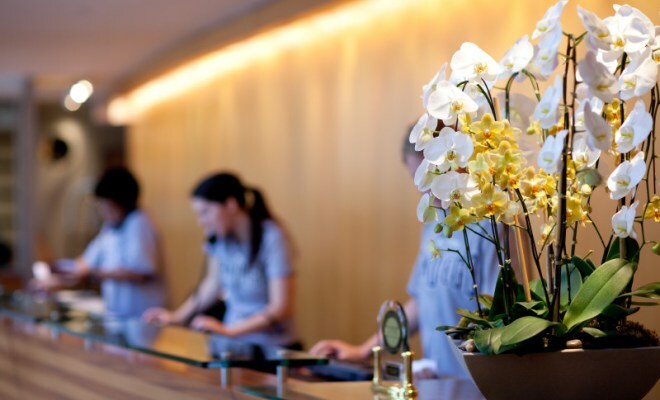 While much of the onboard technology is hidden from view, without it there would be no inflight connectivity.